In this article, you will learn how to implement local SEO factors like a PRO. Therefore, you need to know that the rules of the game are always changing and those who know how to bend them gain the most. Of course, we’re talking about the Google algorithm changes. There is no such thing as too much info on this topic, and you can never settle for what you know. Especially if you seek to improve your local SEO factors. Why is it important to do well on the regional scale? Well, as fickle as it seems, Google has constantly been favoring local e-businesses in an attempt to create real value for web surfers. 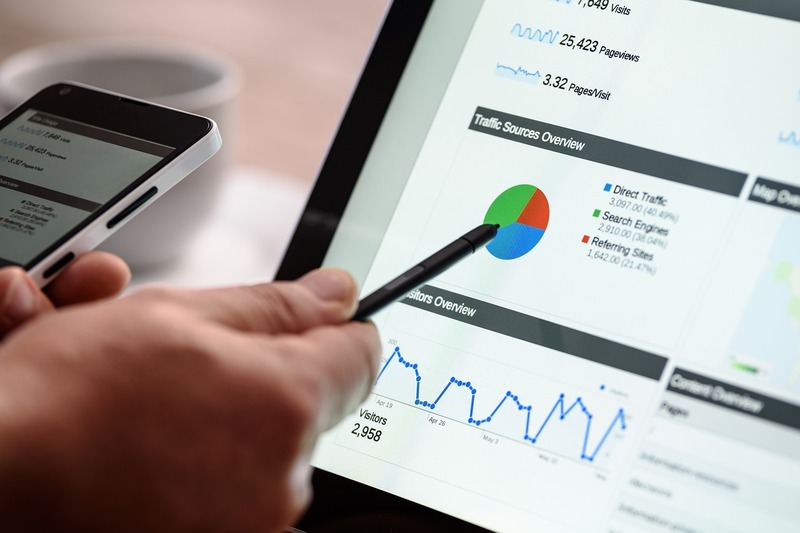 The free Analytics tools or Webmaster Tools are a living proof of the effort to encourage the online presence of local initiatives that don’t dispose of so many resources. Bottom line is, fighting for better rankings pushes businesses to grow organically. You may well know how to surf the web, yes. But do you know how to navigate the sometimes murky waters of SEO rankings? Those who do can propel online visibility in the places and with the audience that matter. Especially as Google is growing more intuitive and sophisticated by the day. And it sure rewards local optimization that relies on individualized searches. Now, to be more specific, let’s dive in and see what local SEO factors you should actually occupy your thoughts with. How to Send Local Signals to Google? The most important signals Google uses in its local search algorithms need to take into consideration the three factors, so, in this guide, I put the signals grouped for each factor Google uses. Verified Owner – put your business on the map by claiming a Google My Business profile. After carefully choosing a category, make sure you list a detailed and unique description of your business because it’s going to be seen by your potential clients, then take care of NAP info (see below). Reviews – you need at least five. Let’s elaborate further. 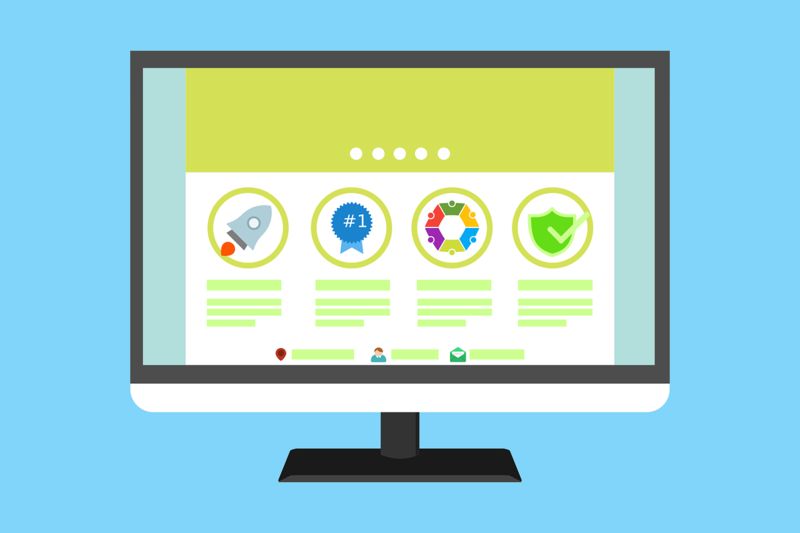 First, if customers are pleased with your services, that means they can give you positive testimonials on review sites. But customers don’t know the local SEO value of this act, so you need to make sure you ask them. There are many ways you can ask for reviews, be it via email or a landing page. Before asking, make sure you are acquainted with the Google reviews protocol. Second, potential new clients are more impressed with lots of good reviews than with empty promises, no matter how eye-pleasing the latter might look. A notable strategy that generates content as well is replying to negative reviews. This way, you’re perceived as constantly working towards getting better and serving your customers. Address on GMB profile – The profile would be the first step, here is where you can claim your profile. Photos – I put photos here because some locations have hard-to-find entries, or don’t have parking lots things that might interest the clients. Anyway, the number and the quality of the photos are very important for the local algorithm. Do a photo of the location itself, parking lot if exists, lounges, the building, then do a photo of the staff, in action, or picture-like, of course, you should also picture what you do, or the location when it’s full of clients or empty, by specific. This refers to awareness, how well a business is known for its services or products in both offline and online because Google wants to show the most prominent results. Links – the number of linking domains and of course links quality. Search domains specific to your niche, be careful about quality and relevance, like in generic SEO. Keywords and On-page optimization – Choose your keywords smart, they can help you in location-oriented searches. About On-page SEO we wrote a comprehensive article, did you read it? Word count – traditionally, a good steady word count in your page content leads to ranking rewards from Google. But depending on your niche, this criterion can also prop up SERP behavior. Another very important thing to do is tracking your rankings. GeoRanker allows you to track your local results, by city, state or ZIP CODE, even if you want only organic results or on Maps Package. Go and make a report now. See your organic rankings from Google or you can also track your results from Google Maps by selecting “Google Maps” from the search engines. If you want to track your rankings in a specific location, you can add custom cities by the ZIP code, like in the picture. Don’t forget to activate the monitor. Track them, see who overcomes you, find your local competitors, track their activity too. There are many things to do, we can always change ideas about this or local SEO factors in a demo. Citations – What Exactly Are They? Getting listed on directories requires you to list a profile of your business on platforms like Google Local or Google My Business. Useful tip: make sure your NAP information is consistent throughout all platforms and directories. What matters when building citations? But how do you spot the best citation source for your business? This is where citation tools like the GeoRanker Local Citation Finder come into play. Generally, citation finders use a reverse engineering algorithm. They identify the highest ranking sites and generate a heat map with the local signals that got these sites to the top. The citation puzzle can be easily solved by the GeoRanker algorithm. Each site appearing in more than one location is attributed a color. But your targets are those that are colored in gray – they are listed once on the first page, thus becoming your direct local competition. The Citations tool from GeoRanker continues by finding and listing the websites where your local competitors already built citations. Now, you just have to find ways to put your NAP there: not all of them are directories or allow you to just list your citations there, in some cases you have to talk with the website owners. Anyway, you can find here a comprehensive article written on how to build citations like a pro topic. Any time citations are talked about, backlinks also come into the discussion. In fact, there is plenty of uncertain information on the backlinks vs. citations debate. Which one is better for your local SEO performance? Without doubts, backlinks are important for the generic ranking building. But while they are essential for SEO, let’s see if they are the same for local SEO purposes. When employing GeoRanker services, our customers are offered a comprehensive SEO audit. So, throughout time, we’ve noticed a recurring pattern. When looking for the best ranked local competition, it appears that some top local businesses are better listed than national leaders in the industry. In short translation, local businesses succeed to overcome with small budgets their national competitions which invest lots of money. Off the top of our heads, here’s an example. Say you have a law office in Miami. 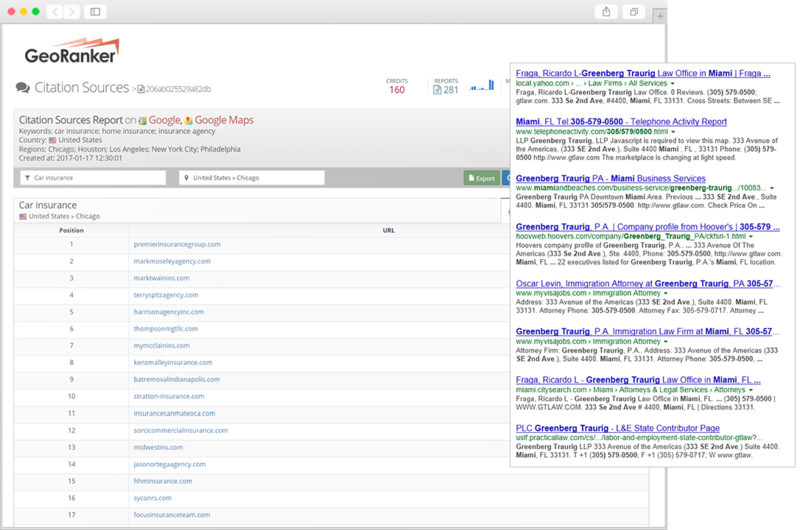 When someone in Miami searches for “law office”, Google will index your site higher than, say, a famous law office in New York with offices in several cities – including Miami. How come that leading brands counting hundreds of backlinks came behind local players that amassed only around five of these? The conclusion is quite straightforward: for local SEO factors optimization, Google prioritizes citations over links. Want to see things going forward in a fast way? Build citations, but not anywhere, build them in local sources with high authority, they are going to boost your local optimization and therefore, your local rankings. That isn’t to say you shouldn’t have links. It says, rather, that you shouldn’t necessarily direct your efforts towards acquiring dozens of them and towards maintaining link consistency. Useful tip: what Google recognizes as normal link behavior is links acquired at a steady pace and volume. Without abnormal anchor texts (abnormal anchor texts are those that match exactly the keyword you optimize for). “Less is more” is something we are not used to applying to SEO work. But when you’re trying to rank in local searches, this is indeed the path to follow. When you’re a niche and localized business, links are not quite your concern. NAP should be enough. leading to authority sites – for that, you need to create really informative content they’d be willing to share. Balancing SEO efforts with the local SEO factors comes down to knowing what to prioritize. 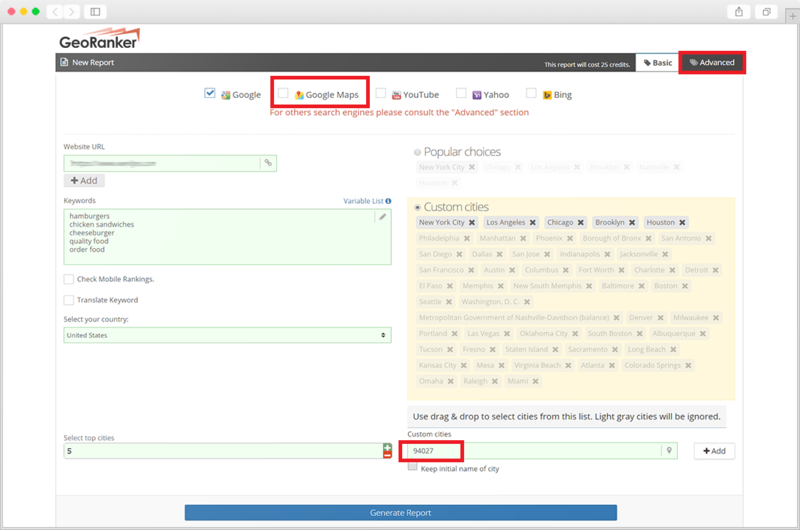 On-page signals have to include the NAP, plus longtail keywords containing the area you provide services in. Testimonials and accreditation are also needed. Don’t forget to edit site structure. In case you display multiple locations, let search engines understand this by setting friendly URLs. Also, the more content you have on your website, the better. Constant optimized publishing couples well with the NAP. As mentioned in the first part of the article, keywords are a good means of sparking Google’s interest and put your website up there, where it matters. Sure, implicit search queries bring the most traffic (up to 6 times more than explicit ones, as proved by this key study). Does local SEO look like an oportunity to overcome your national competitors, by spending only a fraction of their budgets? At first, it might – and it’s quite normal that this is the case. However, local SEO is a dynamic environment where using the most suitable tools might make the difference. GeoRanker is providing the most accurate data from search engines. The tools are very good for local SEO, but they can also be used in generic SEO. Just check us out, start collecting data and prepare for a significant bump in local searches. Sorin is Chief Marketing Officer of GeoRanker, a young entrepreneur with a great passion for search engine optimization and new technologies.